1. 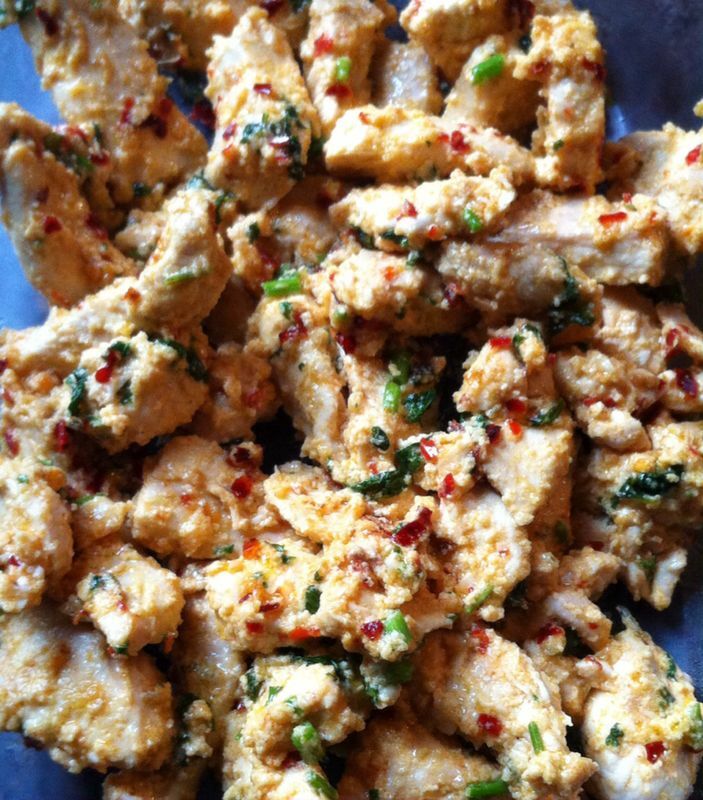 Marinate the chicken strips in the above ingredients and leave in the fridge for at least an hour. 2. When ready to cook, add 2 tbsp butter to a frying pan, less than a 1/4 cup of water and you marinated stripa. Cook till chicken is cooked and the water has evaporated.